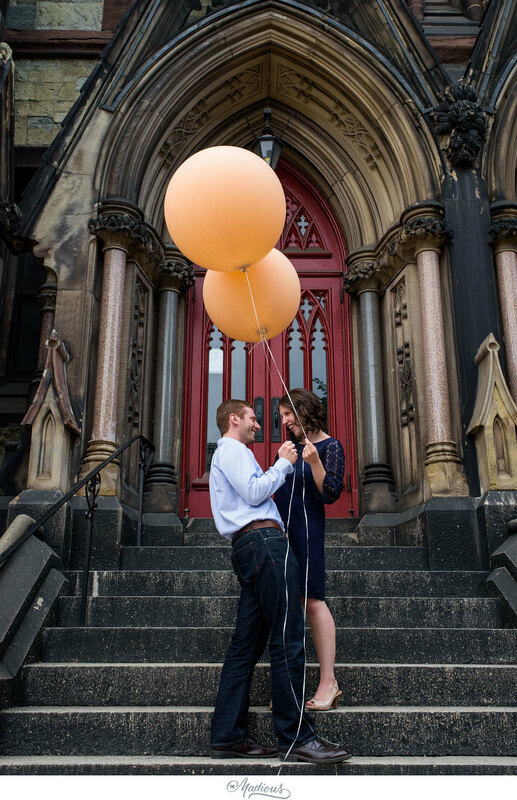 A few weeks ago we photographed Sarah and Jon in Baltimore. While it was a cloudy and gloomy day, we lucked out and avoided any rain. They brought two huge balloons which help brighten up the scene along with their sweet personalities. We had a great time chatting and laughing with them and are happy they introduced us to Birroteca. Hair & Makeup by Caitlyn Meyer.